Scottie Mom: Out of Fashion: Scotties? There aren't very many of us Scotties in Arizona. We see a new one about once every three years. Never confuse fashion with substance. But maybe I'm wrong-I still can't understand tattoos on a female. To me it screams that the woman who gets one isn't happy with her looks and thinks she's ugly. She has to call attention away from her natural looks. However, tattoos on women are fashionable. What happens to that woman in 10 years when tattoos are "sooooo dated"? It's probably a good thing...if a breed gets too popular they often fall into the hands of bad owners. OK, Mr. K you look so handsome! Well done, Scottie Mom! Our mission at Modern Scottie Dog was to not only show how sweet and loyal the Scottie is, what a great family pet they are, but also how popular the Scottie still is in product designs for some of the high fashion and home decor brands like Coach, J Crew, C Wonder, Radley, My Flat in London and many more. Funny, just don't get the disconnect. 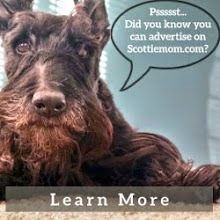 Scottie Moms and Dads who use social media are helping to promote Scottie ownership through postings on Facebook and blogs like yours for rescue Scotties and wonderful photos of Scotties around the world posted on Instagram. It's easier now than ever before to find and friend Scottie Moms and Dads and that will make it easier to find a Scottie for someone who never thought they could. I think the STSA is the org that is old school. Just take a look at their website. They could do much more to promote how wonderful a Scottie is for a pet and companion and less on the breed as a show dog. 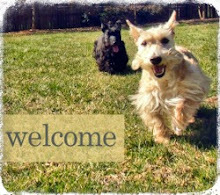 They should put a blogroll on their home page with blogs like ScottieMom, The Scottie Chronicles, Modern Scottie Dog, Scampering Scotties, Campbell's and so many more wonderful sites that write about and feature Scotties. Remember, it takes a special person to be owned by a Scottie. I have seen many rescue sites that require scottie experience and I agree. Scotties are not out of fashion, they are in a different league. I'm not a fashion accessory, I'm a cuddly companion! I think I have met 2 or 3 Scottie owners during my time in a vet clinic. Those owners were such wonderful people! While we have met a handful of other Scotties in our area, they still seem to be quite rare. And even in rescue, there seem to be less of them than many other breeds. In fact, PetFinder has 135 Scotties or Scottie mixes listed nationally and most of them seem to be mixes. I think this reflects very highly on Scottie owners and breeders- owners are in it for the long haul and breeders are working hard to place Scotties with families who can handle them. But I definitely think the phrase "out of fashion" was misused in this piece! 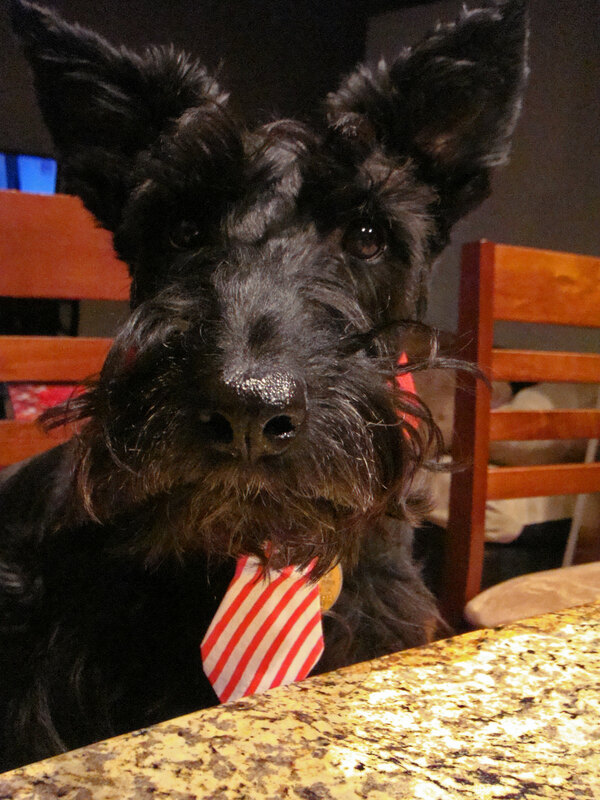 While Scottish Terrier ownership may be down, a Scottish Terrier is always high fashion! How can the best dog breed on the planet be "out of fashion"? I will never be the same after becoming a "scottie mom". I think the breed must be a well kept secret because I rarely see one. As a kid, my next door neighbors owned one. I fell in love with this dog! They have a killer combination of beauty and brains! My scotties may be the only ones in the neighborhood but everyone knows them. The neighbors all greet them on their walks. I love their iconic features and they decorate my house. When I moved in to my new house my cousin asked me "have you out grown the dogs yet?" I was hurt and continued to decorate with my antique scottie collectables. I love it and feel comfortable here. The dogs I'm sure don't care. We have collected scottie collectables for 30 yrs....... I find it odd when folks ask me why I don't sell them off. I enjoy each one and the memories they bring to mind..Just love my scotts !! !